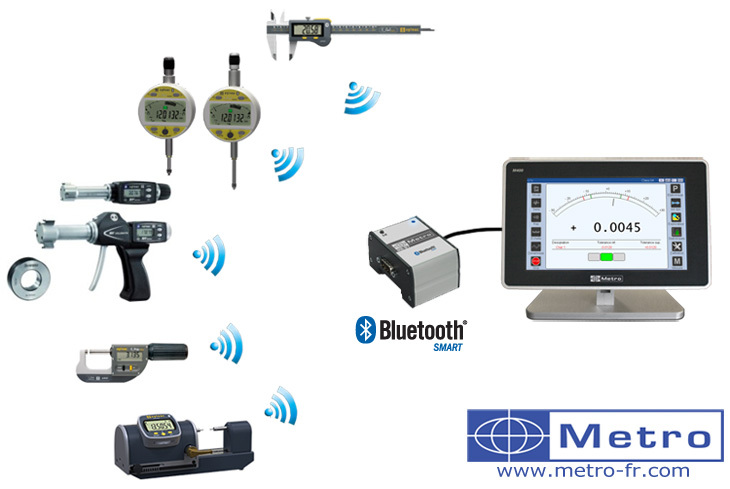 The new MB-BT module allows to connect up to 8 Sylvac Bluetooth instruments (Calipers, Digital indicators, PS16 Bench, Micrometers), and the Bowers Bluetooth Bore gages onto a the Metro M400 display, or directly to your computer through the MB-RS master module. Metro has updated the M2 display by giving it a touch screen allowing to have a simplified and more intuitive graphical interface. It is also now possible to connect inductive probes (Metro, Tesa, Mahr) or Heidenhain with a 11uA or 1Vpp signal. - Differents display mode, including one that allow to display 2 characteristics in one screen. - Possibility to connect an I/O M-bus module.